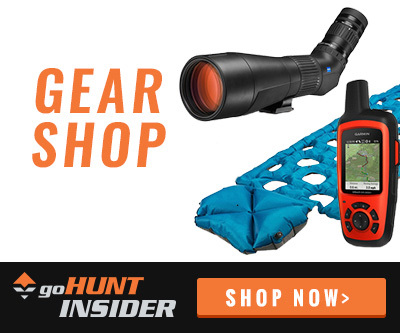 If there’s one thing I enjoy more than hunting it’s talking about and buying new gear. I’m constantly evaluating my current kit and tweaking things to better suit my needs. I’ve become somewhat of a weight concerned person the past few years and am constantly looking for ways to multipurpose gear and make me a more efficient and comfortable hunter. That being said, my quest for ultralight has also led to some not so comfortable nights spent on the mountain as well as some cold, miserable days. Through continued research over the years, I’ve thankfully been able to locate pieces of gear that make life in the mountains easier and more efficient all while still maintaining lightweight qualities! Below is a list of five of the most underrated and underappreciated pieces of gear that I own and have come to love. 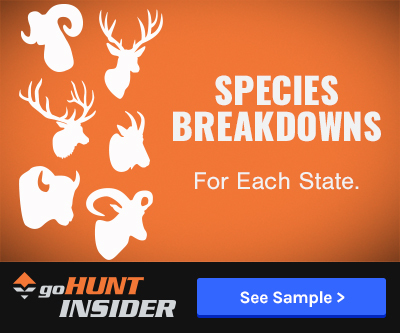 Not all of them make it on every hunt but all of them get used extensively on the hunts they are brought on. In my early days of backpack hunting, I did exactly what a lot of you reading this probably did- Shoved my extra clothes in the compression sack for my sleeping bag and used it as a pillow. This worked and still does, for a short time but I could really begin feeling the effects on this by day two or three of a hunt. After several years and many sore necks, I stumbled upon the Aeros Ultralight Pillow from Sea to Summit. This lightweight pillow weighs next to nothing, packs up to about the size of a pill bottle, and is comfy as heck! Even when I’m not backpacking this ultralight option finds its way into my pack for those mid-morning naps when the hunting slows down. Hands down one of favorite (and cheapest!) 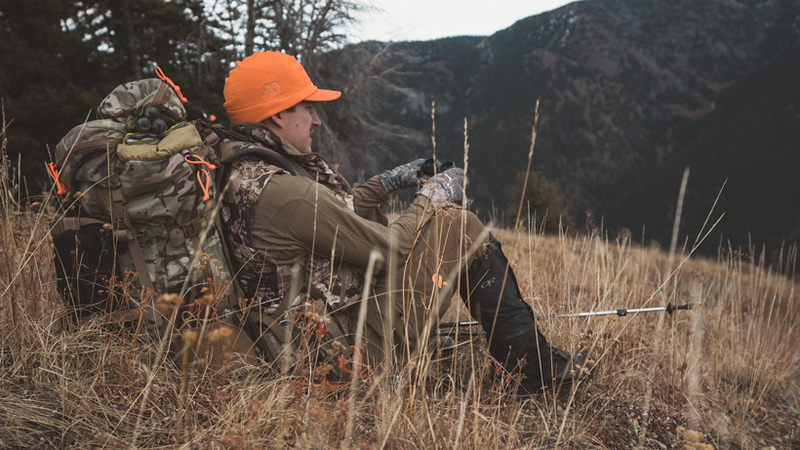 pieces of gear I like to pack on every hunt is the Z Seat from Therma-A-Rest. This crazy light seat is only 12” long and folds up to a small 2.5” making it extremely easy to toss in or strap to your pack. I originally bought this as a primary glassing seat but have also found uses for it around camp and while taking quick breaks when the ground is wet or covered in snow. 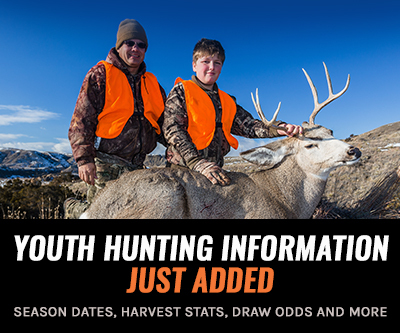 This is one of those items that really doesn’t have a place in my pack for every hunt but it’s absolutely critical on the hunts that it’s necessary. In many of the places I hunt water is fairly plentiful in deep draws and canyons but lacking in high country areas. This often led to some lengthy and physically taxing hikes to drop from camp down to a water source and back. Having the ability to carry a large amount of water at once is always nice but being able to keep it contained in one large bladder instead of my normal 3-4 water bottle routine was a game changer. The Dromlite bag from MSR is available in several different sizes to best suit your needs. The integrated lid on the Dromlite bags provides a few different pouring options by volume and nylon loop at the top of the bag makes it great for hanging around camp. 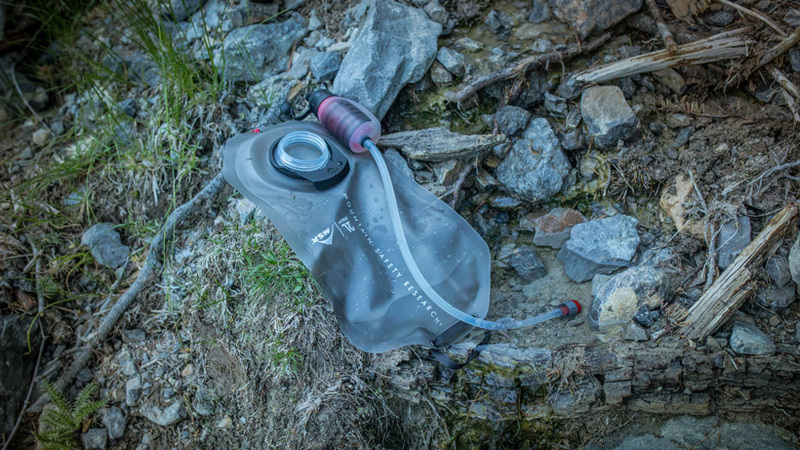 Personally, I like the 6L bladder as it’s not a huge jump in weight from the 2L bag and allows me to go a few days between water trips. 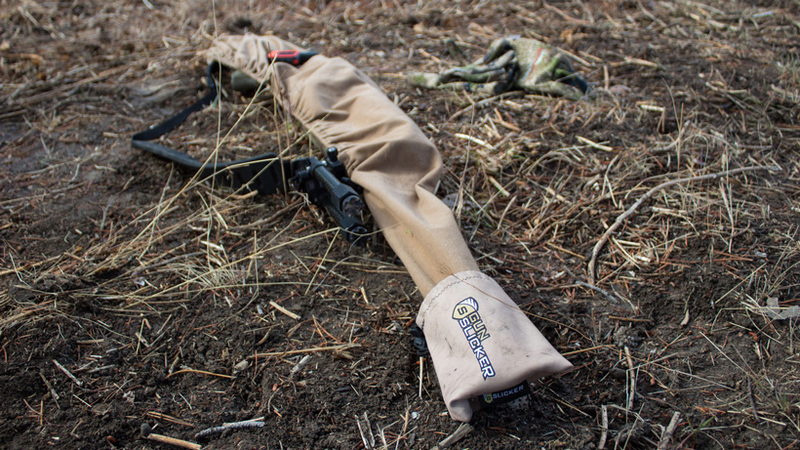 The goHUNT Gun Slicker is another product that obviously gets brought along for certain hunts. 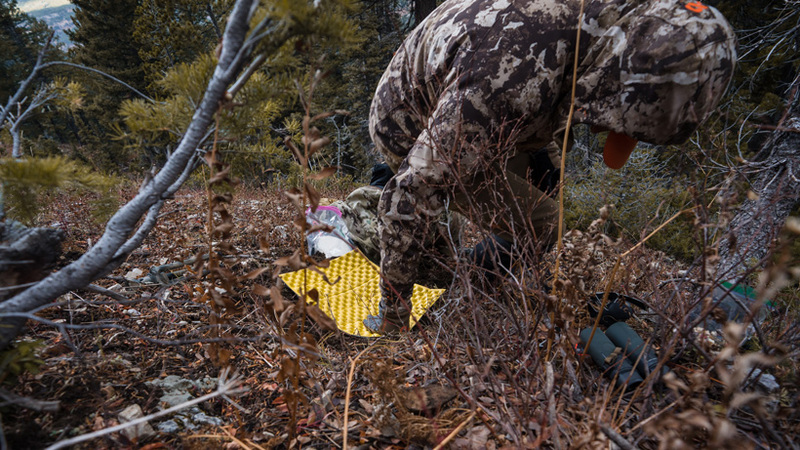 Western hunting can often times entail hunting in inclement weather and busting through heavy amounts of brush. Traditional methods of covering your rifle scope and muzzle work great but inevitably the more pieces of gear I add to my pack or kit the more I’m going to forget at some point. The Gun Slicker satisfies both of these avenues at once by providing good coverage from the muzzle to the recoil pad including the scope. Lastly, one of the most overlooked pieces of gear I can think of is the goHUNT Bino Bandit. 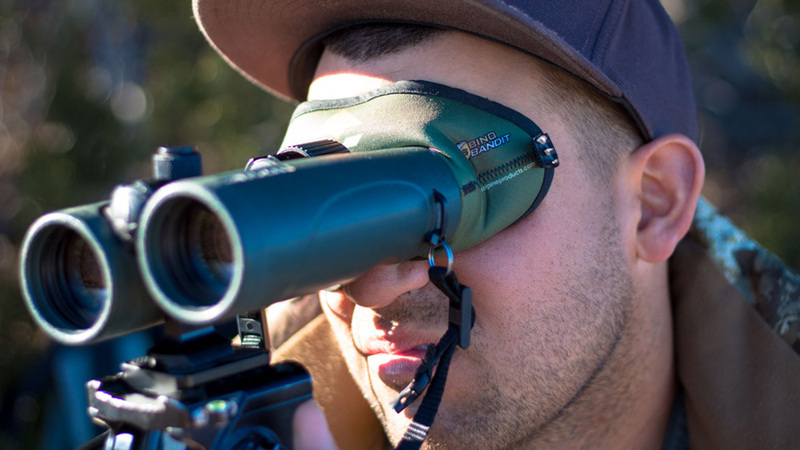 This innovative little product simply slips over the eyecups of your binoculars and provides instant relief from bright sun and wind. I would say on average that I spend better than 50% of any given hunt behind my optics and I would also say that better than 75% of the animals I kill are spotted through glassing than over any other method of take. Sometimes glassing conditions are excellent and the deer and elk seem to glow. Other times animal movement is slow and the sun is glaring. The Bino Bandit quickly cuts out sun flare and provides a much cleaner and brighter view through my optics. Additionally, I wear contact lenses which make my eyes very sensitive to direct wind and debris. 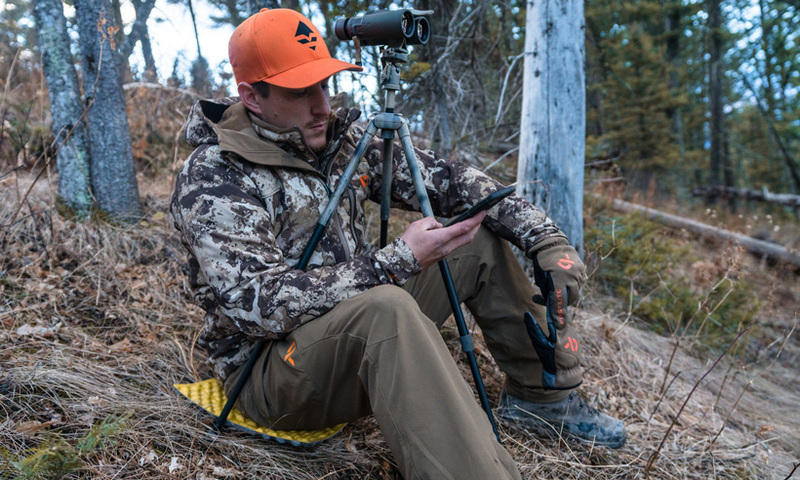 The Bino Bandit also helps with these issues and keep me more comfortable and dedicated. One what? A guy who calls out a marketing driven article when he sees one? @Glen G- they can be tricky but will work if your careful. Obviously the biggest thing to keep an eye on, no pun intended, would be breathing into or towards the eye cups and then immediately going to work glassing a hillside. Another hurdle some may experience would be the actual frame size for their glasses. I would say that most modern and sleeker designs will fit no problem. @Frank P- definitely a valid point! That being said, you could argue that a lot of gear items aren’t necessary- Optics for example. I sure like not having to use open sights on my rifle or to only rely on the naked eye for spotting game. While these items certainly aren’t “must haves” to harvest an animal they are must haves in my pack since they keep me in the woods longer! Thanks for checking out the article and for the feedback. There is not a single “must have” item on this list. Everything on this list is a pure convenience or comfort items. @Jay K- Wool buffs are always nice to have! I've found that I can usually get away with wearing less layer's simply by using the buff. It's amazing how much warmth those can hold in. Thanks for the feedback and for taking the time to check out the article! Couldn't agree more on the pillow and the Z seat. The Sea to Summit pillow is nice. I carry the Exped version which is very similar. I'm going to have to give the Bino Bandit a try. One pieces of cheap gear I would put on the "must have" list is a merino wool Buff. Very versatile and can really help you regulate your temperature if you are doing a lot of alternating between sitting and hiking.